Cleans, shines and waxes in one operation. The cleaning agents produce a rich foam that floats away dirt and road grime while soft gel wax beads, suspended in the formulation, deposit a protective wax layer on the paintwork’s finish. The salt-free formulation leaves your vehicle with a brilliant protective shine and is suitable for use on all paint finishes. 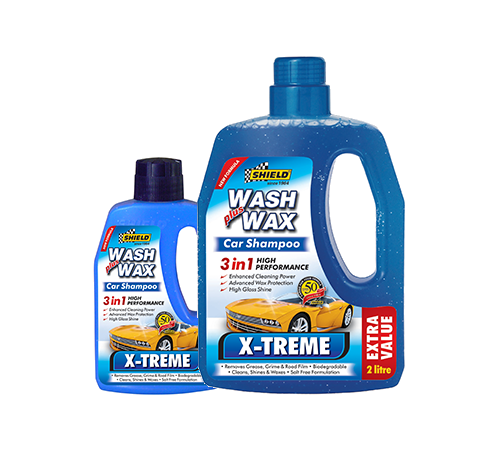 X-TREME Wash Plus Wax removes environmental contaminates without stripping away the protective wax layer or leaving a soapy residue.